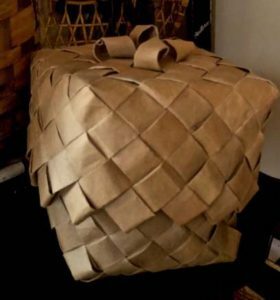 Learn the how-to of making a beautiful basket out of grocery bags. 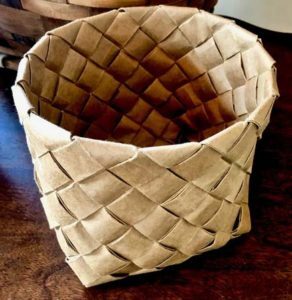 Recycling at its best! Instructor, Judy Krish will lead you step by step through the process. Approximately 5 hours with a break for lunch. Bring 6 large paper grocery bags. Other supplies needed-2 dozen spring-type clothespins, scissors and tweezers. A lunch will be provided of pizza, beverage and a cookie or on your own lunch can be ordered from the local cafe if desired.